We're co-hosting an Open House with Betwixt Wines on Saturday Nov. 12, 11am to 3pm. We'll be pouring the new release of our red wines, as well as several previously release wines. No RSVP necessary, just come and enjoy the wines. I hope to see you there! 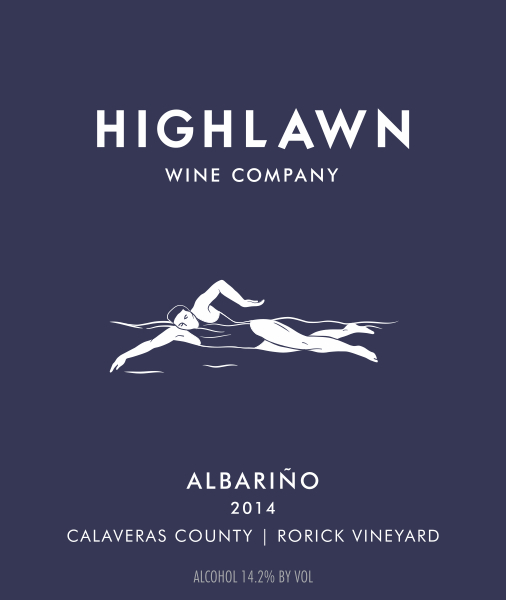 You're invited to taste the Summer 2016 Highlawn Wine Company release. Two new white wines will be making their debut. Please RSVP to pcuadra@highlawnwine.com. There should be plenty of parking in the lot and on the street. 2015 Roussanne - good to the last drop! You're invited to taste the inaugural lineup of Highlawn wines at our open house. Three wines will be making their debut, so this will be your first chance to taste them! August West and Sandler Wine Company will also be pouring their delicious Pinot Noirs and Chardonnays at the open house, so come thirsty! I can't wait for you to try the wines! I'm excited to announce the launch of Highlawn Wine Company. The product of a year and a half of work, the wines are ready to be in your hands! I'm happy to be starting with a special wine from a unique vineyard about to make its mark on California wine. Rorick Vineyard in Calaveras County combines the sun of the high altitude Sierra Foothills with unusual soils consisting of schist and limestone peaking through a thin layer of topsoil. The Albariño from these slopes is aromatic, early to ripen fully and maintains its fresh acidity. The result of an unusually long barrel fermentation (nearly six months) and aging on the lees, the 2014 Rorick Vineyard Albariño is a textured example of Albariño. Apricot fruit combines with spicy notes on the nose, and the acidity of the wine leads to a lingering finish. The online store is not quite ready to launch, so in the meantime you can purchase the wine from me directly in person. To order, contact me via email at pcuadra@highlawnwine.com. Thank you everyone for your help in starting Highlawn Wine Company. I'm looking forward to sharing many more wines with you soon.